Palak is the Indian name to the spinach. 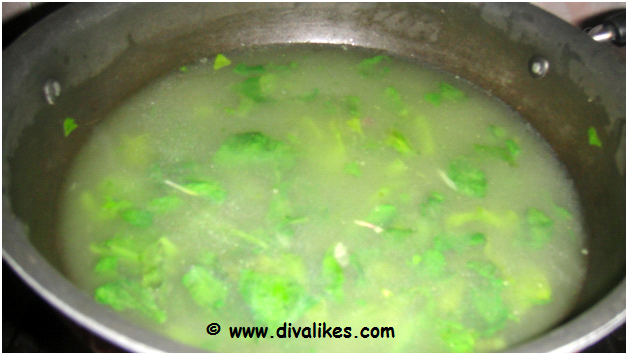 This soup is healthy and easy to make within 20 minutes. 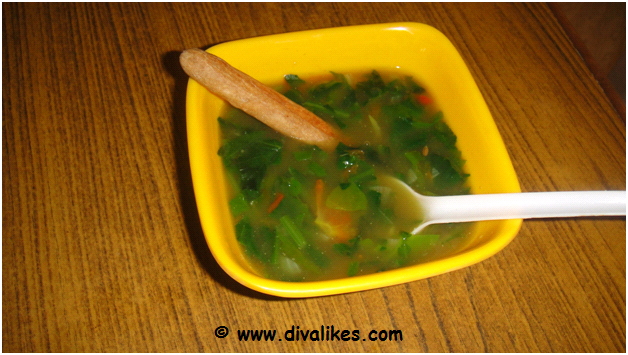 The ingredients required to make this soup are easily available and it is a wonderful soup for this winter season. Spinach is a healthy green which is used worldwide. 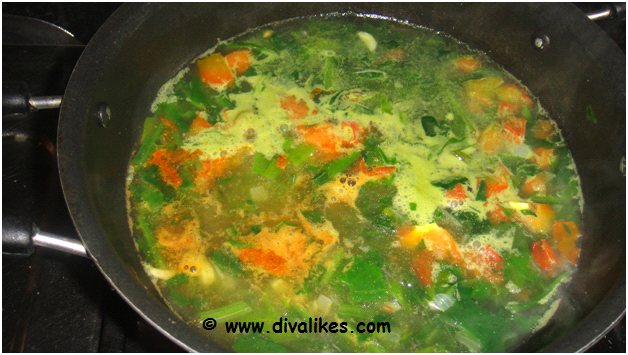 This is a soup with crunchy spinach pieces and it will be delicious when having it. Heat a pan and melt the butter. Add the cumin seeds and let it splutter. Add the chopped garlic and saute. Now add the chopped onions and saute till it becomes translucent. 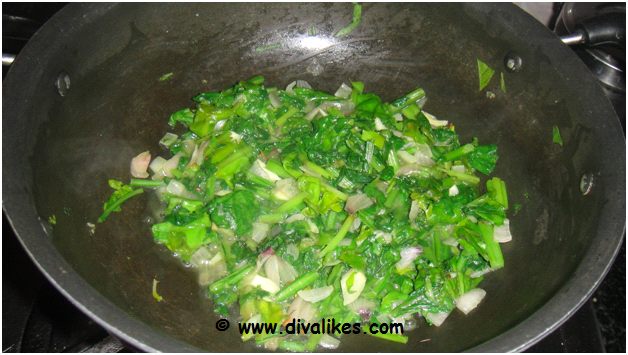 Add the spinach and saute for five minutes. Add three cups of water and mix well. Add the required salt and cook for 10 minutes. Now add the garam masala and chopped tomatoes and simmer for two minutes. 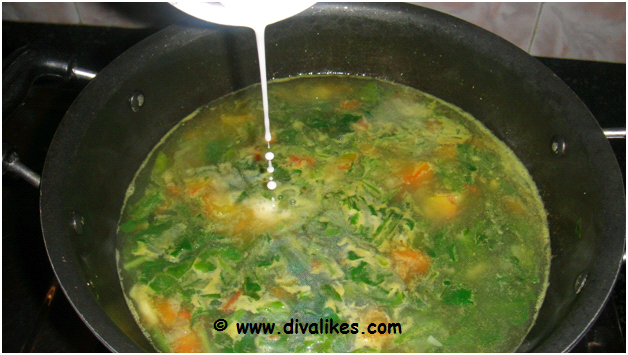 Mix cornflour in quarter cup of water and add it to the boiling soup. Stir continuously for five minutes. 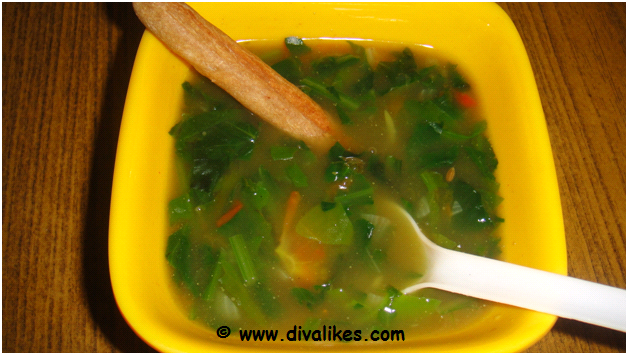 Serve the Spinach Soup with a bread stick.